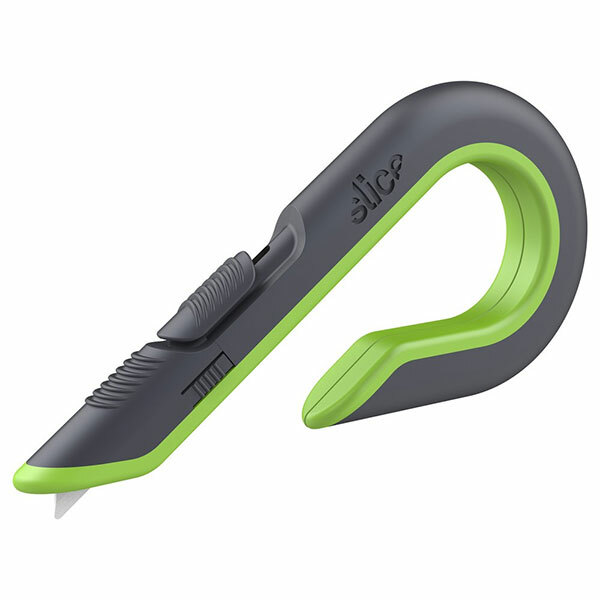 The Slice 10503 auto-retractable box cutter takes safety to a new level with an ergonomic, protective J-hook handle and our patented ceramic safety blades. Avoid injuries with a retractable box cutter that prevents you from accidentally leaving the blade exposed and keep your fingers safe with our protective handle. This safety box cutter uses 100 percent zirconium oxide blades that are non-sparking, non-magnetic, chemically inert, safe up to 1600 degrees Celsius, and never rust.